ACFW Conference ... Meet me there! You are here: Home / being an author / ACFW Conference … Meet me there! I first thought about writing in 1993. A friend from church, Cindy Martinusen told me about her aspirations to become a novelist. My first thought was . . . Real people do that? She invited me to attend Mount Hermon Christian Writer’s Conference with her. I was new as new can be. I was also 22-years-old and pregnant with my third child, but I learned enough at that conference to start off on the right track. For many years I wrote parenting articles, but I really wanted to get a book published. I tried and tried and although it became very close I didn’t get a contract. I was so disappointed. I questioned God … how come I couldn’t get published? After all, my books would glorify Him. It was during that time when I started attending the Experiencing God Bible Study. The key phrase that stuck with me was, “See what God is doing and join Him.” God was doing a lot … just not in the writing realm. So I started following God. I helped start a Crisis Pregnancy Center and mentoring teen moms, and I discovered I loved it. I did a little writing, and a lot of serving. Yet it was amazing what came out of that. I started speaking, and I got a contract for Life Interrupted: The Scoop on Being a Teen Mom. Then, after the center was up and going I got a novel contract! I truly believe that since I was willing to follow God He gave me the desires of my heart. When people tell me they want to be a writer I let them know that if they are serious they need to attend a writer’s conference. In just two, three, or four days they can learn a TON about writing. Not only that, they meet other authors, editors, agents and other publishing folks. From experience I know that relationships are just as important as the writing knowledge. 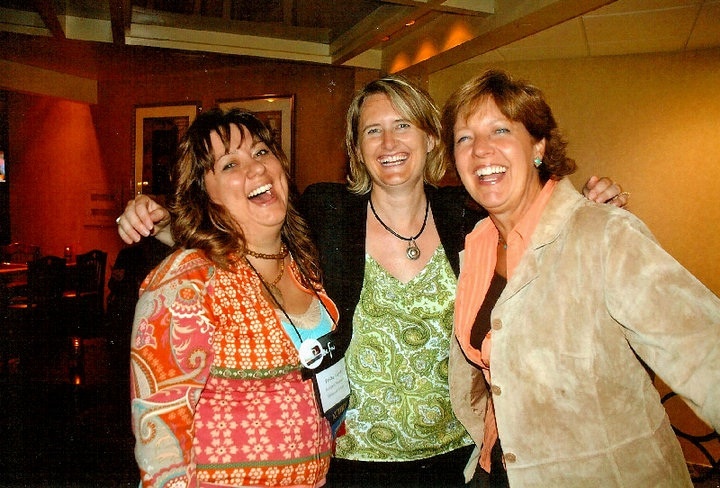 I’ve found life-long friends and critique partners through conferences. I’ve also made connections to agents and editors that have helped me launch my writing career. In addition to the Mt. Hermon Writer’s Conference, I highly recommend the ACFW (American Christian Fiction Writer’s Conference). If you are interested in fiction it is THE conference to attend. The ACFW Conference Staff is busy putting the final details on this year’s Conference, in the Heartland of America–St. Louis, Missouri. Just a couple of the highlights include our award winning Keynote Speaker, Tracie Peterson and an Early Bird Session presented by Stanley Williams, PhD. You won’t want to miss it! Also–if you can’t wait–conference CDs from 2010 are available here. I can’t wait for the day that I can attend! I wish this was the year… just not in the budget. It sounds fabulous. Sooo wanna be there. Not this year – but it will, in God’s time. Can’t wait to teach with you, friend!